A couple of years ago I traveled 4,000 miles to pickup a Rosso Corsa at a pretty good price. and I got to see some of the US I hadn't seen. After a new battery I started her up, went for a run and decided on "upgrades"
Rear Stucchi rack to lash things on. Fur seat cover to raise my seat and ease the knee strain. LED instrument lights so that I could see them in the day. 3. Cleaned the 1/2 cup of engine oil out of the airbox. 6. New timing chain tensioner. The Lemans still has the "cough" but it's much less frequent and at 2,000 rpm on deceleration. I can live with it and try something else the next tune up. I still have to spend some seat time on the Lemans to see how long my knees can take the ride. On the Griso I've gone for 14 hours with short stops. Now I have some "sport touring" to do. I'll start with one-day tours like Folsom, Ca to Markleeville via Ebbetts pass on Hwy 4 then back to Folsom via Hwy 88 - Mormon Immigrant trail. Only 242 miles but 5 /1/2 hrs of riding. I've been down Ebbetts before on my Griso with a McLaren on my tail. Decades ago I went up Ebbetts pass on a bicycle. Torque has a huge fall off at 2.5k and climbs like a scalded ape. -cough- cough- Just keep it revving. The one thing I didn't see on your list is synching the throttle bodies. Made a major improvement on my Sport and now is as civilized as it's gonna get. I synch'd the throttle bodies as part of the Decent Tune up with the electronic synch. The Lemans runs great other than the dam cough. What kind of fuel are you running? stock crossover? I had that and fixed it with a mistral x-over. I'm just trying to remember if mine has this 2000rpm cough. Most injection systems shut the fuel off completely on the overrun (throttle shut) but reintroduce fuel back in at zero throttle at around this rpm so the engine doesnt stall when you come to a stop and pull the clutch in. Some bikes like the old K100rs BMW you could easily feel it a very slight pop and surge as the Kjetronic system opened up the injectors at a very low duty cycle in anticipation of the clutch being pulled and idle speed being required. Is this what you are feeling? I'm sure from memory I can feel a slight bit of this on my V11. Just curious not-fishing, how does one synch the throttle bodies electronically? What type of instrument? Take a look at this Dyno chart and the 2k rpm cough will make sense. There is a huge "torque hole". So if the rider drops the rpms and gasses it, the engine coughs. Mine was dyno'd a couple of weeks ago the chart looked identical. I've noticed when I put in new plugs and run good gas that the cough will go away until I run for about the equivalent to a tank of gas. The Dyno guy wants to play with the PC and try to eliminate the hole. I doubt if it's worth the effort an appears no one has done it. 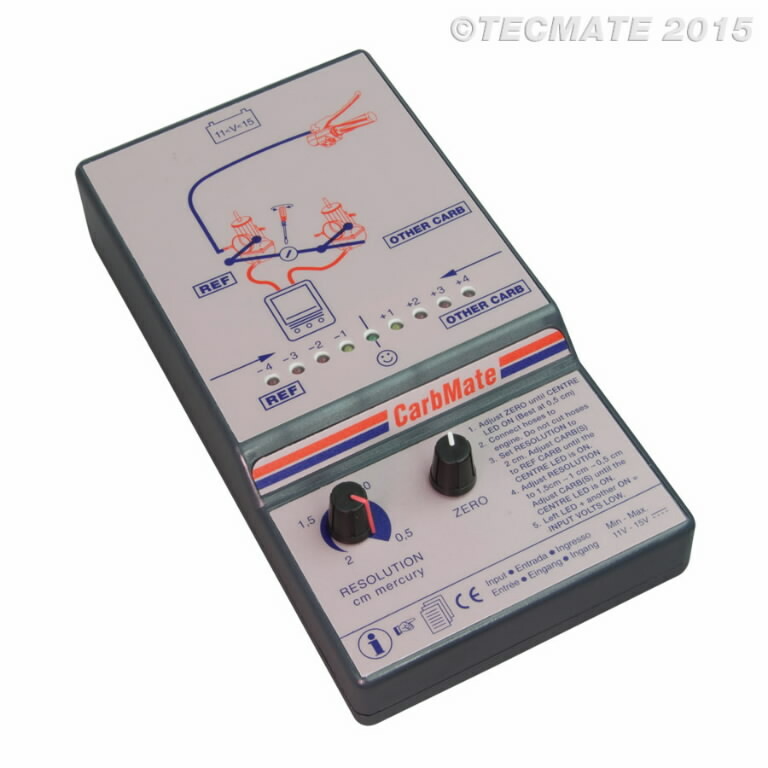 Tecmate Carbmate. I haven't had much luck with the manometer (water tube) systems. I ask this because it so often overlooked as a component of the state of tune. For a long while I was fortunate to have 91 AKI zero-ethanol available. The Sport ran smoother, no doubt. Some other motorcyclists and vintage car enthusiasts exposed me to Shell 93AKI V-Power Nitro+ . I started using it (almost) exclusively in the Sport a year and a half ago. When I have had to fill up with an alternative, even 93AKI, I am immediately reminded of the hiccups and stumbles. Many of you know how extensively I have tried to chase down, correct, and document the various issues that contribute to V11-stumble. They all matter. You've done a lot of things right not-fishing! This is something super-simple worth trying. Have you tried checking and resetting valve clearances to 0.15 and 0.20 mm.? This got rid of a hesitation/cough on my Tenni Le Mans. Thanks for the info on the Tec Mate. Interesting tool. After a long ride I found the Cough was back with a Vengeance. Now it's become difficult to ride because the consistent cough. I've ordered new spark plug wires. I've ordered a new coil. The bike has a full Matris exhaust with crossover. No, valves are .10 & .15 mm. I also went down the rabbit hole by cutting away the brass over the cylinder head temp sending unit then inserted it ---- no change. So now I've taken it to the local Duc shop for a remap. He's got the Dyno, O2 sensors, ECU experience, worked some on Guzzi's and can tackle the tune of this Wild Goose. Update in a week or so.